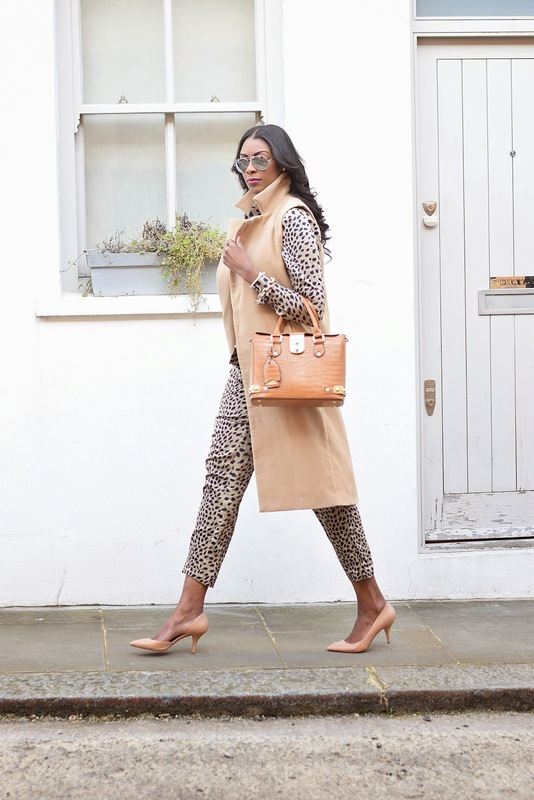 I have recently been loving the full on neutral look and so I wanted to show you how easy it is to style monochrome camel hues in an outfit. 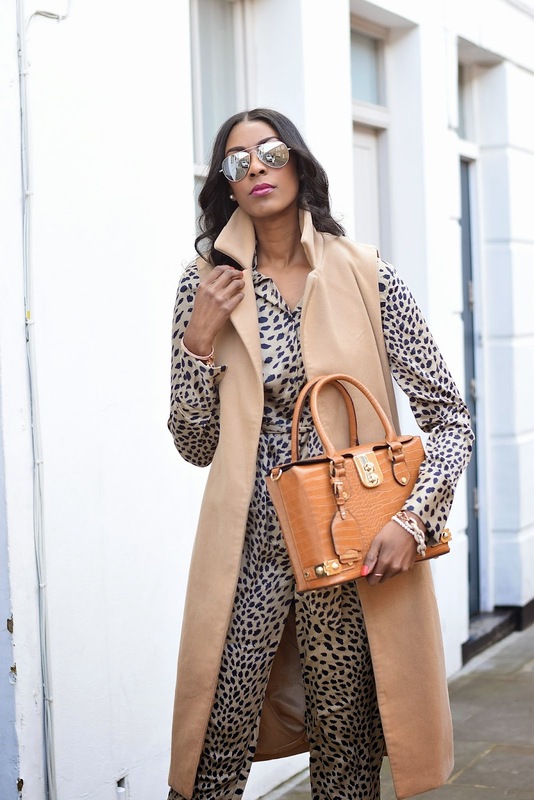 The leopard print jumpsuit is a simple way to add a touch of print to the look if you feel going head to toe in one shade is just too much for you. Jumpsuits are always a great piece to wear during summer and this jumpsuit is currently now on sale for £23...so grab a bargain while stock lasts! 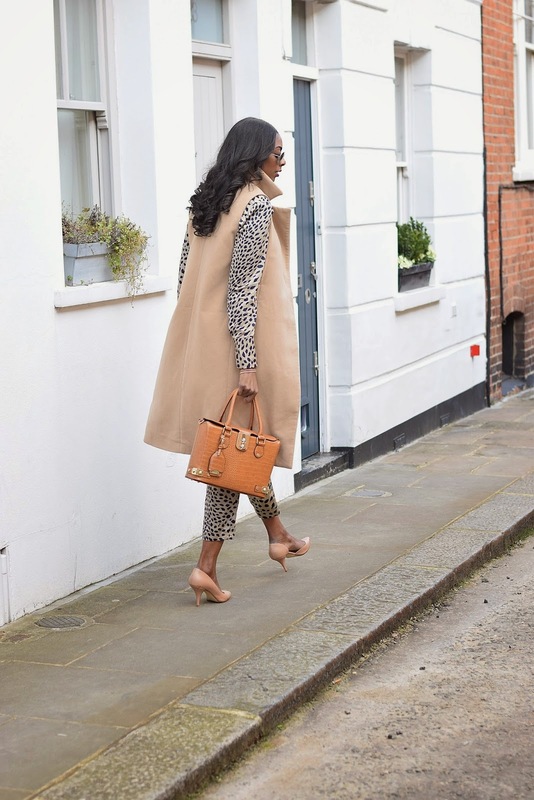 To keep my look sleek and wearable for the current up and down windy London weather, this sleeveless coat is the perfect addition! 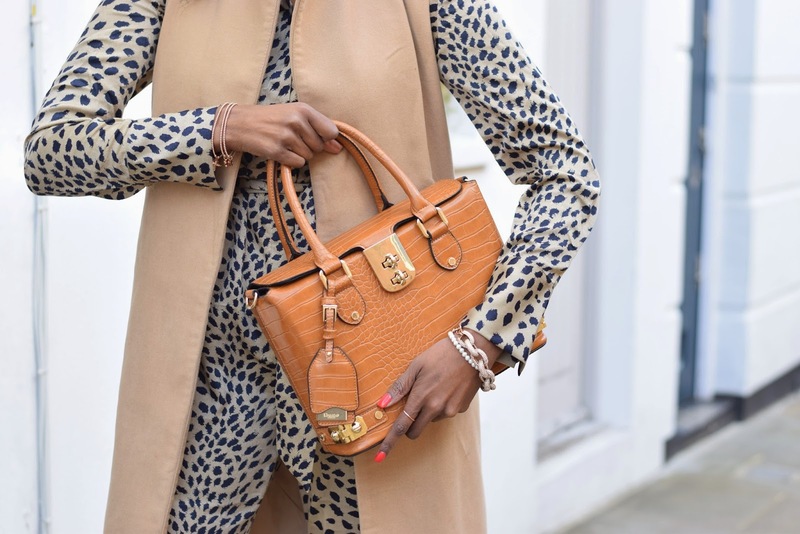 Moving onto this gorgeous satchel bag... words can't describe how much I love it! I'm a big fan of large bags and this baby has soooo much room inside too! Very chic outfit! I've been on the lookout for a long camel waistcoat in a wool blend for ages (over a year? ), but still haven't come across one that is long enough and in my price range. It looks so cool on you! Thanks Anett, and yes this one is particularly long too! That jumpsuit looks stunning on you! In fact I'm in love with this whole outfit! 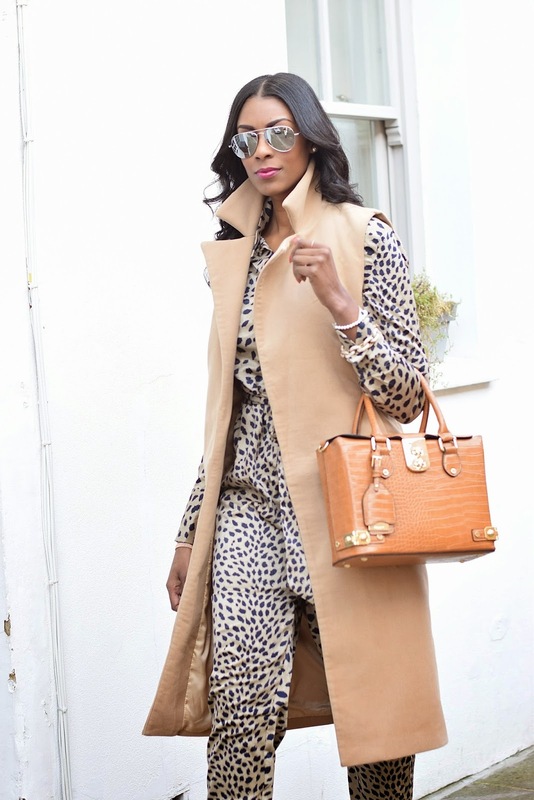 That camel coat is perfection. I've been after one like that for ages. Such a great look.